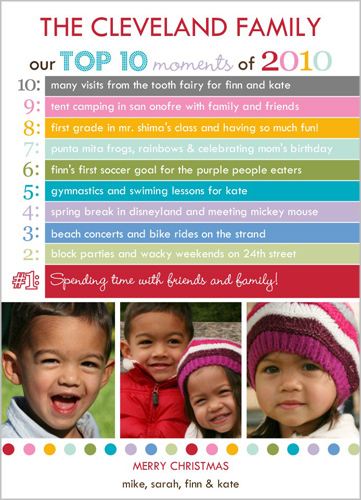 SusieQTpies Cafe: Shutterfly will make my Christmas Cards this year! Shutterfly will make my Christmas Cards this year! Are you familiar with Shutterfly? If not and you are going to be purchasing holiday cards soon, you need to check them out. They have over 700 designs for you to choose from and you can make them from the comfort of your own home. I have always had great results from using their site. 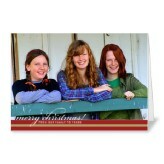 I love ordering Christmas photo cards and personalized thank you cards from them. Besides all of their designs, they also offer folding cards, flat cards, different paper types, various colors and styles. I love how easy it is to use their site. They designed it with Moms in mind! You can have them mail you the cards or they will mail them out for you! You just provide your list of names and they will do the rest! I have not used that feature but I can see where at times it would come in handy! Shutterfly ships really quickly, too! I made one with my girls using the Elegant Stripe 5 X 7 card. I love the simple stripe. My most favorite one is the Top Ten Moments. I didn't test it out but this is most likely the one we will use this year! I'm going to have everyone help me with the Top 10 list!